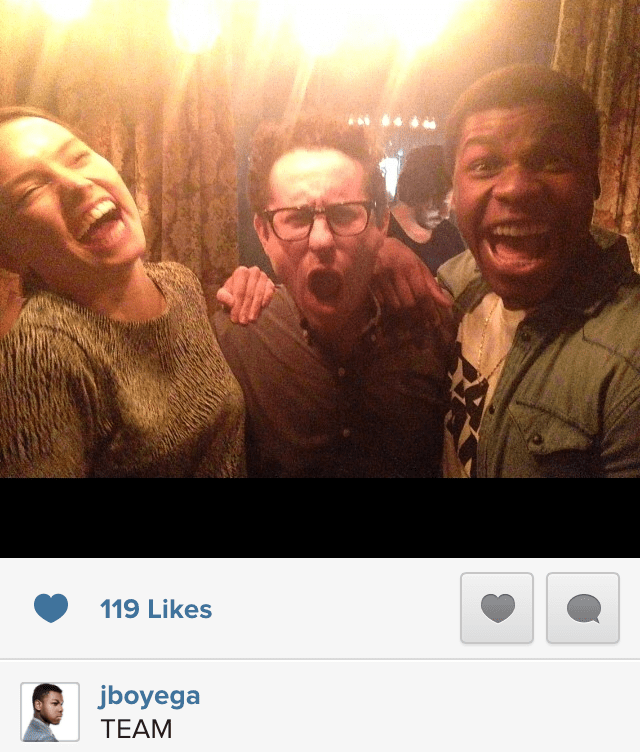 An awesome social picture of John Boyega, Daisy Ridley, and J.J. Abrams from Instagram! John Boyega shared a photo of himself with Daisy Ridley and J.J. Abrams! I love these guys. I’m glad they’re making our new Star Wars and I’m glad they seem to dig one another. That’s going to come through on screen.